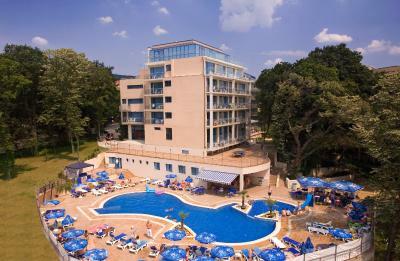 Lock in a great price for Holiday Park Hotel - All Inclusive – rated 8 by recent guests! The hotel is pretty small, not crowded, open and sunny pool area. Good evening programs for children and adults. The room looks alright with a few small exceptions: mold on the shower curtain, noisy ventilation fan, the canal cover is missing, the door lock isn’t fully functional. I do think the staff try their best to accomodate people. Management is experienced. Everything was perfect!!! Especially the staff and the owners, very good food, pleasant atmosfher near the pool, i will go there again and again for sure! The Hotel is a good value for money. Big ,clean room with sea view. Proper breakfast and good wi-fi. Big plus is the parking. Rooms were clean , pool is small but clean and plenty of sun beds . Very nice staff at reception ,manager of the hotel is great and very efficient to sort out your complaint . Good food for the price. They put plenty of alcohol in drinks. Nice pool area. 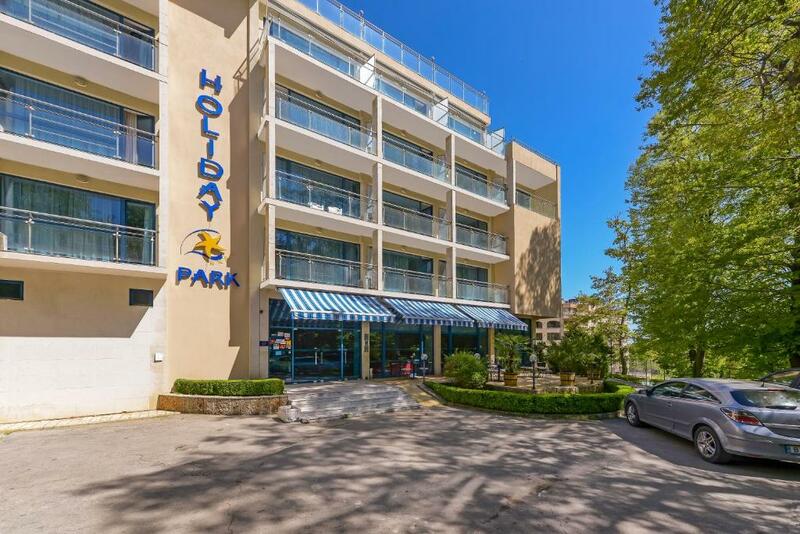 Holiday Park Hotel - All Inclusive This rating is a reflection of how the property compares to the industry standard when it comes to price, facilities and services available. It's based on a self-evaluation by the property. Use this rating to help choose your stay! 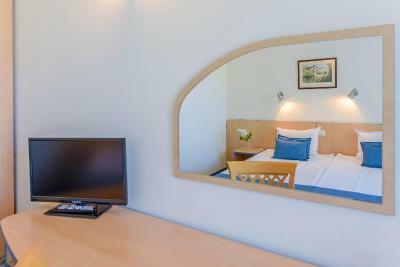 Holiday Park Hotel is set amid a lush park and flower garden, with a fresh sea breeze, a short walking distance from the center of the popular Golden Sands Resort. The hotel is only 650 feet away from the main bus station, where buses to Golden Sands and to Varna are leaving, making it a convenient venue for business travelers. 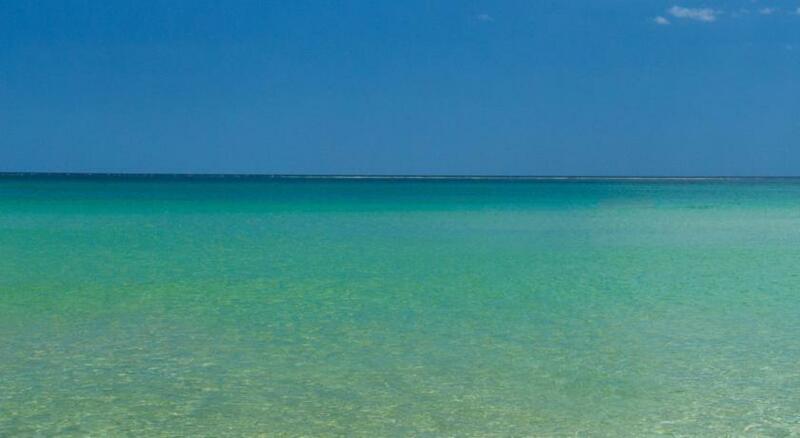 Holiday Park is around 1,500 feet from the 3.1 miles long, beautiful sandy beaches. The balconies of the rooms offer a view of the swimming pool or the garden. Plunge in the pool and take advantage of the beach chairs and umbrellas. There is also a pool section for children as well as a playground, where you can spend some fun hours with your little ones. When would you like to stay at Holiday Park Hotel - All Inclusive? This room provides space for one extra bed. It is furnished with tasteful elegance, with private balconies overlooking the pool and the garden. This room provides space for 2 extra beds. The studios offer the same features as the double rooms including a kitchenette. They are more spacious and furnished with 2 pull-out armchairs. House Rules Holiday Park Hotel - All Inclusive takes special requests – add in the next step! Holiday Park Hotel - All Inclusive accepts these cards and reserves the right to temporarily hold an amount prior to arrival. The animattion team is quite passive. There is no lifeguard for the swimming pool. The pool bar is too plain and unwelcoming. The children buffet is a joke, offering only sweet pastries. The food is not so diverse, mainly meals with meat and very little vegetarian. It is difficult to have a good night sleep as the bed sheets are put directly on the main hard mattress and there is no middle softening mattress. In addition, there are no chairs on the balcony, just a table and a laundry hanger. The room lighting is poor. No accessibility from the lobby to the restaurant, or the pool area. Strollers and pushchairs have to go past stairs. The restaurant/cleaning staff is from Kyrgyzstan and although they are trying hard, it is difficult to communicate in Bulgarian or English language. Animation was non existing after complain to manager there was a improvement in program , food and drinks are not that good , not enough food ,you have to come early ,they did not replace empty trays ,unless you ask for bread or rolls there was hardly any . Wifi could use some work. I mostly used my 4g because the wifi was so unstable and slow. The staff mostly does not speak english. Pool music is extremely repetitive and intermittent. Really chap alcohol. 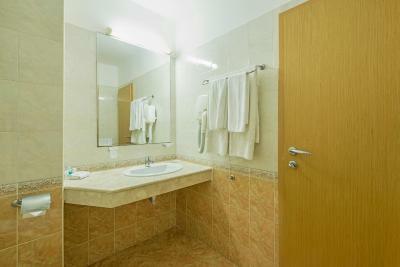 Beautiful and comfort rooms, big parking. Not on the first line, but very close to the sea. Good food. Perfect hotel, the service was good and the location as well.